Focus on one thing at a time! - HAPPINESS IS WATERMELON SHAPED! Today I am linking up with the Primary Powers to share my big goal for 2015! 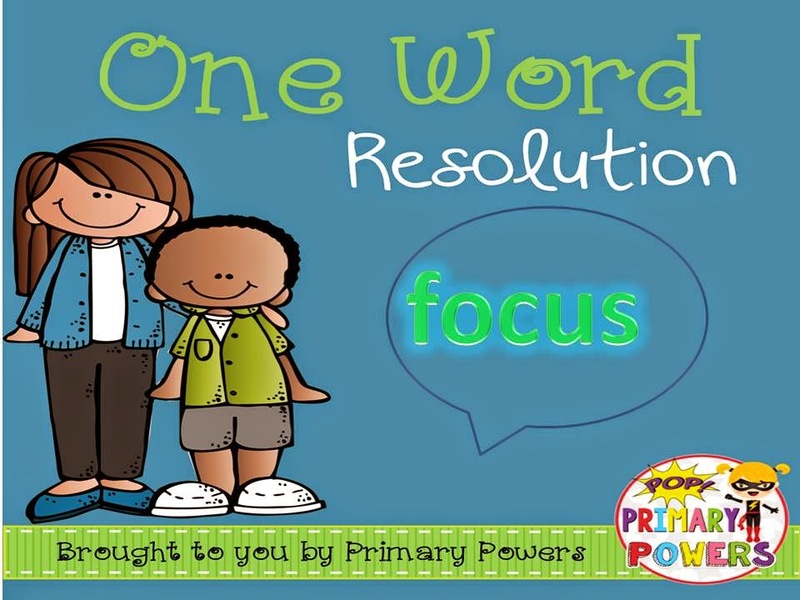 In my 14 in 14, my word for 2015 was focus, and I'm still going to try to focus on one thought at a time. I've been practicing this week so I'll be prepared to focus when I go back to school. (hopefully). Thanks to the very generous Ashleigh of Ashleigh's Education Journey , I won A Wintry Mix of Common Core Math ! Click here to check it out! Now I have to focus so I can try to stay up until midnight - that would be a miracle! Focus is hard to do, but such a great pick! It seems like you are in good company, as many of the people in the linky chose focus. I will admit that I'm busy reading them now and not FOCUSing on my projects. Hehe!